Whether you’re carrying balls, racquets or an extra kit, this practical bag is a clear winner with plenty of space to fit everything you need. When you’re packing for sports, you have some pretty specific requirements – plenty of length, plenty of width, and then more room still for the extra gear that’s inevitably required every other game. Designed to carry all the gear needed for a solid day of competition, the Ransford Sports Bag features a large main compartment with separate storage at both ends. Designed to play hard and outlast the competition, it has reinforced handles, a hard floor board and foot stops to prevent unnecessary wear. 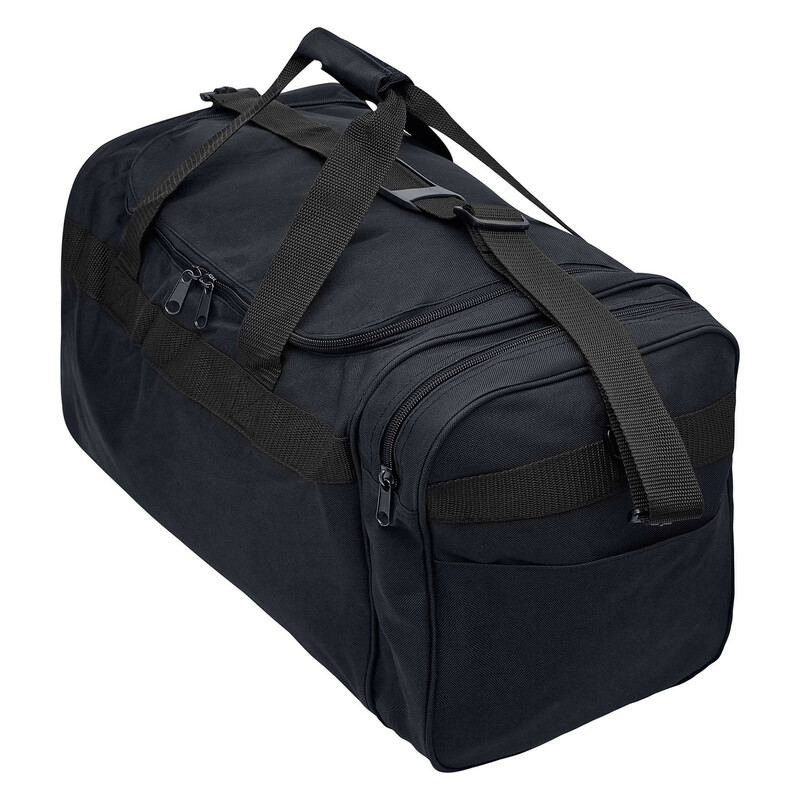 Made from waterproof oxford polyester, this bag will keep your kit dry in any weather. An adjustable shoulder strap makes it easy to carry, and a large external name tag makes it simple to pick your bag out from the scrum.